Don't wait until a disaster to strike to see whether it's covered. 1. Is Comprehensive Insurance Used to Cover a Hit-and-Run? 3. When Does Homeowners Insurance Pay for Legal Fees? 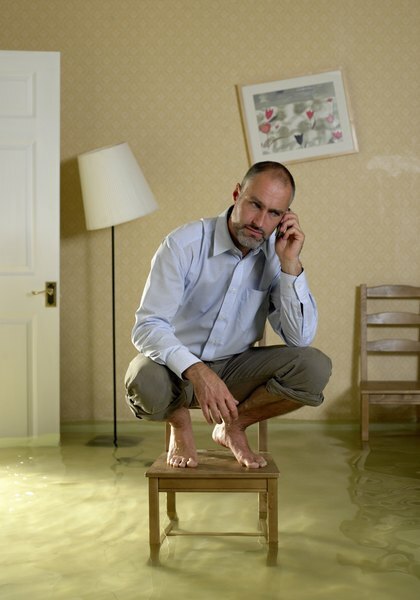 Homeowner's insurance protects you and your home from disasters and damage. Planning for unexpected events is a challenge even with insurance. What you don't know about your insurance policy could be costly. Protect yourself and one of your most important investments -- your house -- with the coverage you need. Your homeowner's insurance policy might tell you a lot, but it doesn't tell you how your rate was determined. Insurers use reports from a database that lists all claims for properties over the previous five years. Ninety percent of companies use the Comprehensive Loss Underwriting Exchange Report, or CLUE Report, from ChoicePoint. A similar report is the A-Plus Report from Insurance Services Office. You can request a free copy if you have been denied insurance or if you believe your rates are higher because of information in this report. Calling your insurance company with questions could end up on your report, as do even minor claims. Your insurer probably reminds you when it's time to renew your policy each year. But remembering to shop around and compare prices is up to you. The great rate you got a few years back might not be so great now. Rates change regularly, and companies compete for your business. It pays to shop around, at least once a year. Also be sure to ask about discounts. You could receive discounts for bundling your auto insurance with your homeowner's insurance, or you might get a significant price break thanks to your employer. Somewhere in the fine print, your homeowner's insurance policy details all the exclusions or things you would not be covered for. What it doesn't tell you is which of these exclusions could present a problem for you. Policies generally don't cover damage from floods, water backup or earth movement. If you live someplace where coverage against those perils would make sense, you'll need to add the coverage, or you might be on your own when such a disaster strikes. Additionally, although your policy generally covers your personal belongings, some of them -- such as jewelry or antiques -- might be worth more than the dollar limits on the policy. Make sure you buy enough insurance so you're fully protected. Homeowner's insurance policies generally do not cover loss or injury to your pets. And adopting a pet such as a pit bull or rottweiler could mean your insurance company would drop you as soon as it could. Any animal stereotyped as aggressive presents more risk than insurers want. If the animal bites someone or damages something, that can result in a homeowner's insurance claim. Even minor incidents can become costly, as insurers are responsible for any injuries or damages to people on your property, and your insurance company must defend you if you are taken to court. Your policy doesn't tell you exactly how much you would be paid for your belongings if you filed a claim. For example, your 60-inch flat-screen TV or new laptop might cost more to replace than your insurer would pay. Keeping receipts of how much you paid is the best way to make sure you'd get the full value from your insurer. Keep receipts and records someplace safe so you'll still have them if something happens to your house. The Truth About Insurance: Do I Have to Tell My Homeowners Insurance Company I Have a Dog? SmartMoney: How Much Do You Need? TheLawDictionary.org: How Do I File a Homeowner’s Insurance Claim for Theft with No Receipts for the Stolen Goods? Are Automobile Insurance Proceeds Taxable?